If you struggle with chronic testicular pain from an unknown cause, or what doctors refer to as orchialgia, a new surgical option may offer you some relief. The treatment, called microsurgical cord denervation, works by interrupting pain signals between the testes and the brain. It essentially disconnects the nerves in the spermatic cord. First, your doctor will work with you to make sure there is no other condition causing your pain. It’s not always easy to tell exactly where pain in the pelvic area originates. Kidney stones or pelvic or spinal problems also sometimes cause pain in the same area. “Orchialgia is a challenging condition to diagnose because it may occur spontaneously or over time,” says urologist Daniel Shoskes, MD. He says it is important to rule out other causes of underlying pain before prescribing further treatment. As first steps, your doctor will likely ask you to try rest, anti-inflammatory medication (ibuprofen) and applying heat to the area to see if the pain subsides. If pain is related to muscle spasms in the pelvic floor, physical therapy may offer relief. If your doctor finds that pain is related to a bacterial infection, he or she will generally prescribe antibiotics. He or she may diagnose orchialgia if you have persistent pain in the scrotum from an unknown cause that lasts three months or more and disrupts your daily life. A series of tests (urine culture, physical exam and, often, an ultrasound on the testicle) will guide diagnosis. The ultrasound, in particular, will help rule out other possible causes of the pain such as testicular cancer. 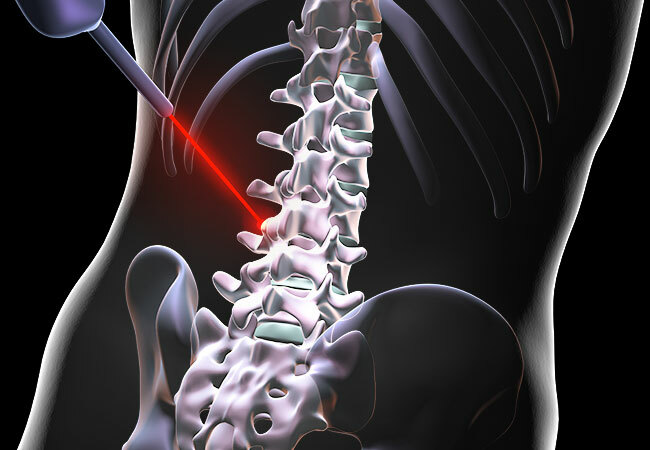 Before recommending surgery, your doctor will perform a diagnostic test called a cord block. Injecting a local anesthetic into the spermatic cord may relieve pain temporarily. This suggests the pain signals come from the nerves in the cord and surgery should provide long-term relief. Your doctor will likely refer you to a pain management specialist if the temporary cord block does not relieve the pain. How does cord denervation work? During microsurgical cord denervation, a small incision in the lower abdomen above the testicle exposes the spermatic cord. The surgeon cuts the nerve structures in the cord, but preserves blood and lymphatic supply to the testicle. The technically challenging procedure takes from 45 to 90 minutes, Dr. Shoskes says. The surgery has a 65-80 percent success rate and there are no side effects. However, as with any surgery, there are risks, including loss of the testicle and fluid collection around the testicle. “The nerves themselves are too small to see, so we preserve the bare essentials and cut everything else that could be causing the pain in that area,” he says. If pain persists after surgery, pain management is still an option.